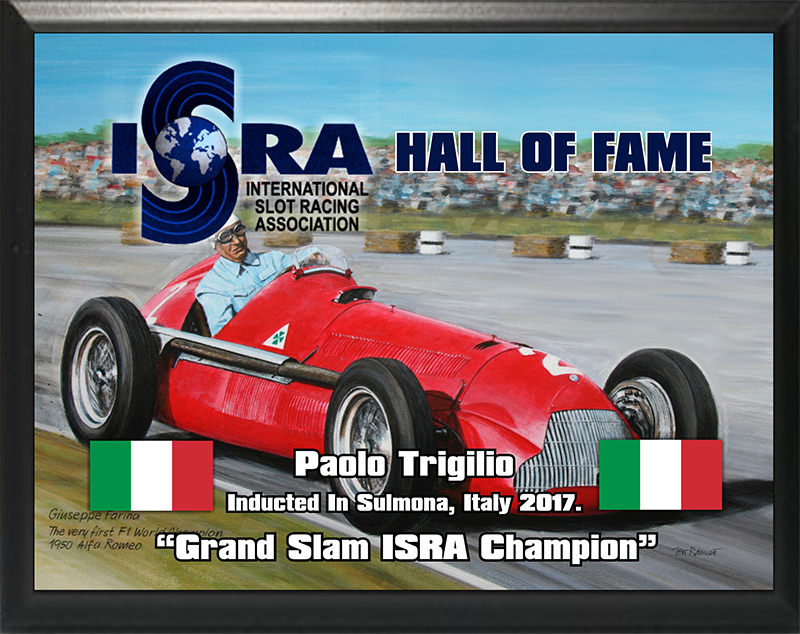 Paolo Trigilio from Italy is ISRA’s most successful Italian racer and owner of the only ISRA clean sweep as of 2017, and was inducted into the Hall of Fame in the first induction ceremony in Sulmona Italy in 2017. Paolo’s ISRA career runs through ISRA history. he raced in the first three events 1992, 1993, 1994 and as of the end of 2017 has raced in 22 of the 26 years of ISRA racing with a total of 85 race starts, 8 wins, 8 second position finished and a total of 28 podiums, making him one of the most successful ISRA racers. Paolo is also the only ISRA driver to take the Grand Slam at an ISRA event, winning all four classes, Production with Michael Landrud then all three individual races, ES32, ES32F1 and ES24 in Brazil in 2011.